Well, well who would’ve thought, Google Now, a feature exclusively available on Google’s very own Android platform, might be heading to iOS after all. 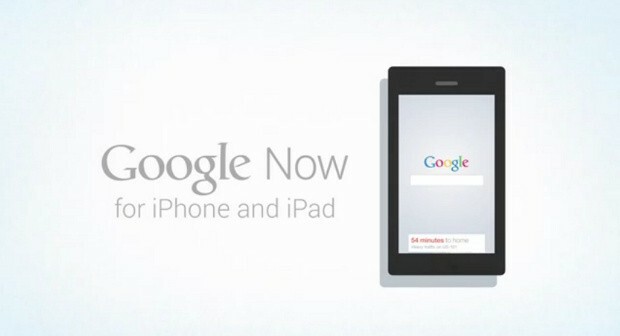 Recently, a promotional video of Google Now for the iPad and iPhone appeared in YouTube but was quickly removed soon after. The video, available at the source link of course since nothing in the internet ever properly gets removed, features a girl introducing Google Now for iOS, as pointed out by Engadget, she sounds the same as the girl who spoke for the original Google Now for Android clip. What I personally find strange is that, while Google has never hesitated to use an iOS device in its ads promoting something for iOS, this promotional video features a device that looks nothing like an iPad or an iPhone; not even an iPad mini since it lacks a physical button. Of course, we have no idea if this is a real video or a very convincing fake one. I hope it’s real, my heart skipped a beat upon seeing Google Now and iOS in the same sentence this morning, this is definitely a very piece of good news for iOS users…right?